Our range of Anaesthesia Products includes Artificial Resuscitators, Artificial Rubber Resuscitators/Black Rubber Resuscitators/ Silicone Resuscitators. 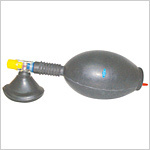 High quality black rubber or silicone goes into the production of our Artificial Resuscitators. 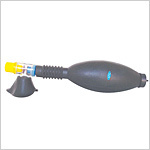 The Artificial Resuscitators (black rubber) are autoclavable. They are self containing, and self inflating double ended bags which are easy to assemble. 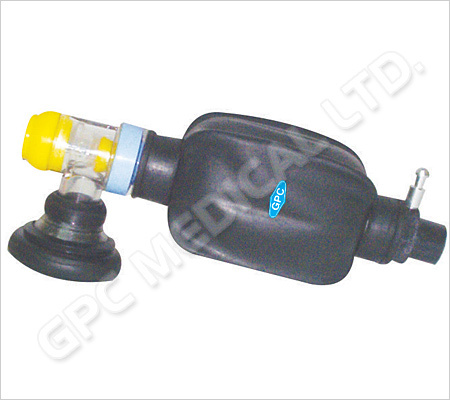 Superior grade black rubber is used to produce our Ambu Bag type Resuscitators. 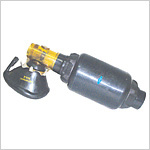 Various other patterns such as Australian and Italian are also followed as per our client’s requirements. 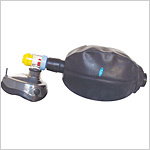 Each set includes mask, reservoir bag and valve. They are available in adult and child sizes. 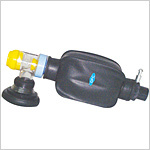 Send Your Buy Requirement For "Artificial Resuscitators-Black Rubber" AND Get Quote Quickly.